Any old type of exercise will burn calories. And pretty much any type of movement is healthy for you to do. But only certain forms of exercise have been scientifically proven to literally force your body to change, adapt and turn on your fat-burning potential. Provides a measured, specific and individualized exercise program. But to get this effect requires a unique form of metabolic intensity that not just any type of exercise can accomplish. Metabolic Aftershock is able to accomplish all this because, unlike traditional cardio or slow-motion weight training, it breaches what exercise science calls the anaerobic threshold. This threshold is reached when the exercise intensity becomes so high that the body is forced to mobilize resources in the moment and make metabolic alterations to meet the same or similar demands in the future. This is why it blows traditional approaches away. Traditional exercise, like cardio and weights, either don’t get your body to reach this state at all or do not reach it long enough or frequently enough to make a difference. These old approaches may burn some calories (and muscle, too), but they don’t make much of a difference in the way you look. To burn fat, shape muscle and change your fat-burning potential for good, you need a different approach. Not just shorter and more intense, but one that is carefully structured and specifically tailored to your individual metabolism. You may be familiar with some of these concepts through a training technique called interval training.12 This technique has been growing in popularity because it is so much more effective compared to traditional exercise. It’s more impactful because it makes use of some of the same physiological changes the Metabolic Aftershock does. It is too hard for most (and not hard enough for a few). It is not individualized to your unique metabolism. That is where rest-based training comes in. Sounds like an oxymoron right? Typically, rest and work are thought of as opposites. They aren’t. They are actually synergistic. Think of an elite sprinter who runs a 100-meter dash at top speed. Now imagine telling him or her to run the race at the same intensity again as soon as they complete the race. It would be physiologically impossible wouldn’t it? The sprinter would not be able to muster the same intensity physiologically, or psychologically, until he or she took some rest. At that point, they not only could run the race again, but could come close to matching the same intensity. Quality rest leads to quality work, and quality work requires quality rest. 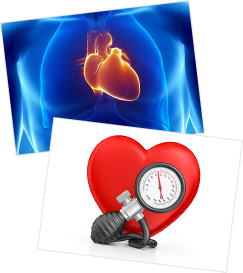 Heart rate recovery intervals: Exercisers resumed exercise when the heart rate returned to 130 beats per minute. Defined rest intervals: Exercisers resumed exercise after the rest period equaled the work period. A 1:1 work to rest interval ratio. The self-paced interval group performed slightly better, was shown to have worked just as hard and finished the session slightly faster than the traditional interval group. The heart-rate recovery interval group had the lowest intensity levels. Interval training is all about maximizing the work-to-rest ratio to maximize performance and intensity. Self-paced or rest-based interval training was able to accomplish a better outcome. Research has also shown rest-based or self-paced exercise is psychologically easier.14,15,16,17,18 The common notion that letting people self-select their exercise intensity and rest periods will result in less effective workouts is wrong. It actually makes the workouts more effective and more psychologically pleasing. We call rest-based training “interval training on steroids,” because it gives you all the metabolic benefits of traditional interval training, but allows you to work even harder than you would otherwise since you are in complete control. Prioritizing rest over work is what allows this metabolic effect to happen. Harder work leads to more fat calories burned during exercise and a greater Metabolic Aftershock. And quality rest is required to produce quality work. It is win-win for the metabolism.